Creature in a Cup Workshops: the image shows one of creatures made by an undergraduate student during an Interactive Sculpture workshop in the Dept of Art at the University of Reading. 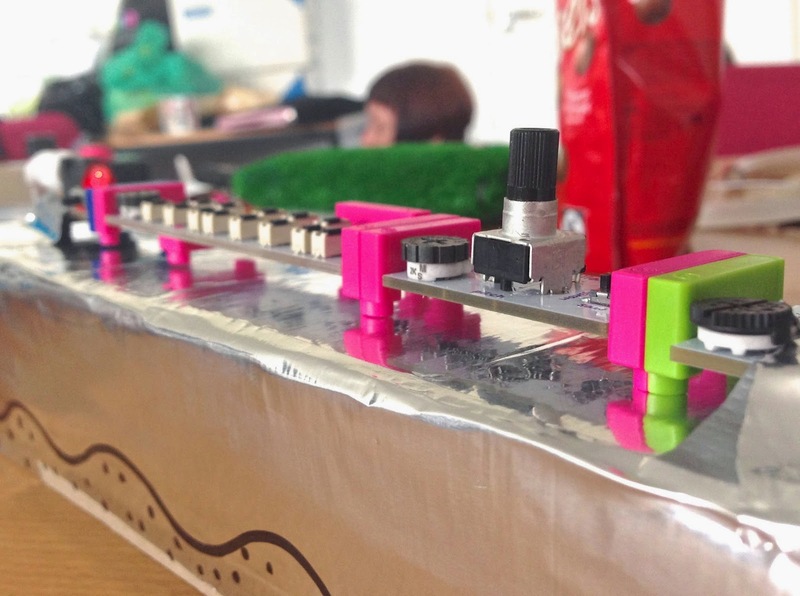 This particular work was based mainly upon the littleBits synthesizer modules (designed jointly by littleBits and Korg), and includes a keyboard. For the last month, we have been organising a series of events with local schools in the Reading area which focus on how we can bring technology to people through art-based workshops. The idea started when we held workshops for the Sensory Objects projects (see Sensory Objects) to help people with learning disabilities gain some experience in working with different senses. During those workshop sessions we explored ways of triggering sounds and movement using littleBits modules, and then build sensory devices as a result. 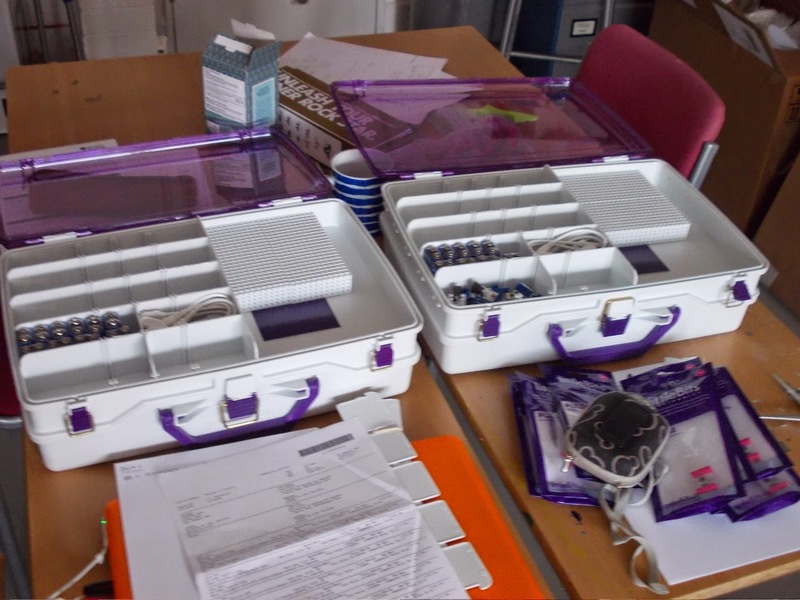 As part of a WP programme in 2014, we piloted the idea of using littleBits to help understand technology through creative workshops last year with Redlands school it went really well with a great deal of positive feedback. After having sent out a flyer to schools around the Reading area, we will be holding the workshops at four schools in the Reading area during June and July, giving a total of 13 CIAC workshops. 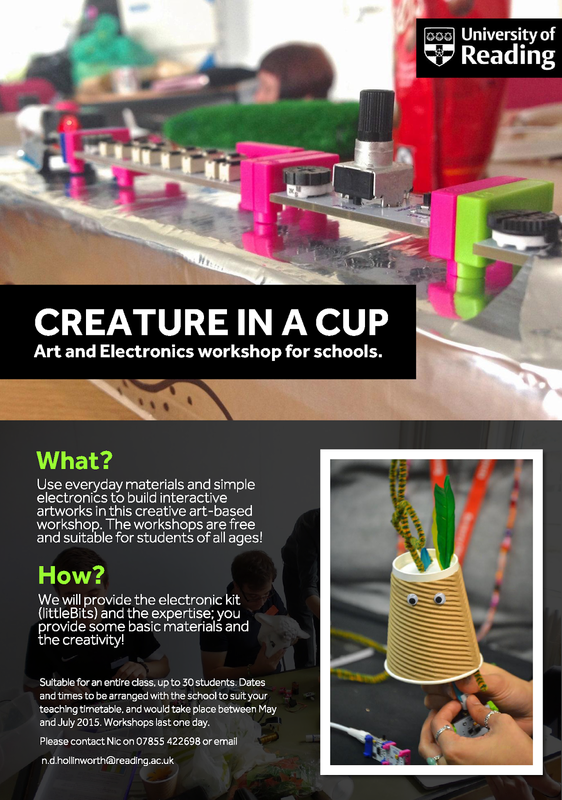 Flyer that was sent out to schools for the Creature in a Cup workshops. 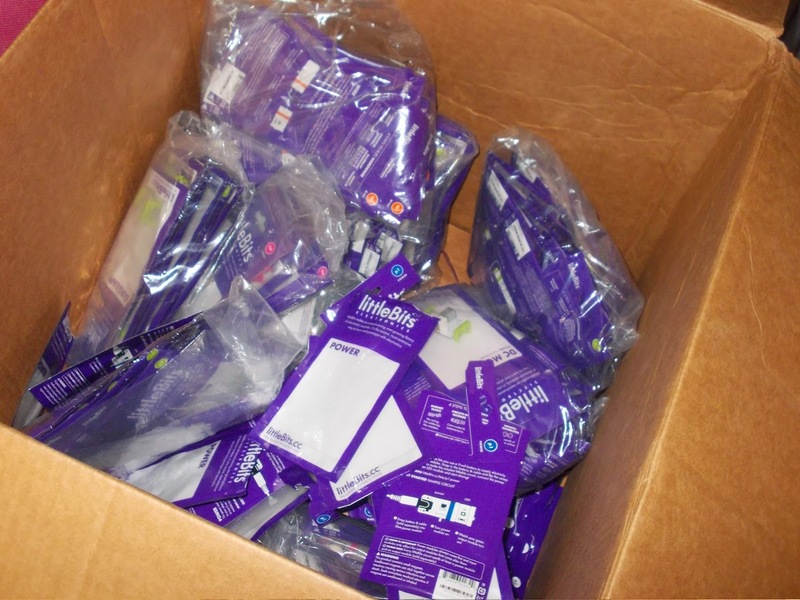 In addition to the new littleBits modules, we’ll distribute all of the exiting ones between the boxes, with the exception of the synth kits. That should be sufficient for the classes of 30 we will be taking in June and July.